Are You Among Those Who Are Unaware Of How To Fold And Pack Up A Tent? If yes, then have no worries. Until recently, I used to struggle with putting up a tent. Knowing how to put away a tent makes it easier to carry while backpacking or hiking. One also avoids accidental tearing of the materials and unnecessary crumpling. Unequal weight distribution in a bag makes it heavier and bulkier. While you might be able to ignore the weight during the first few minutes of carrying it, you will be able to feel it after the hour. At this time is when you will start to wonder whether you did the right thing while packing the tent. Just as many people do, I learned the hard way the importance of folding a tent. Knowing how to fold a tent is just as important as putting it up. 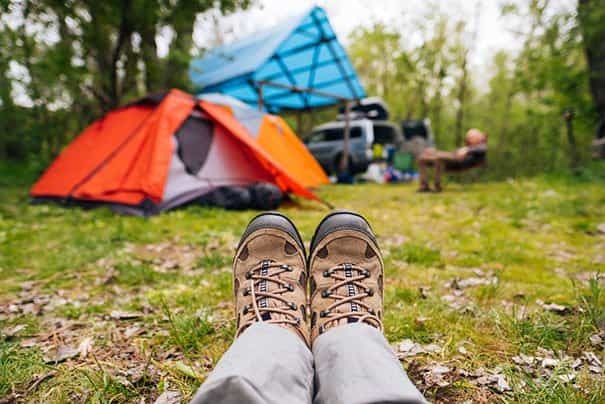 Tips on how to fold a tent can come in handy in case you decide to go on a camping trip. And these tips are especially useful for dome tents. How To Fold A Tent? Straighten out the fly sheet: Place the material of the tent on a level flat area and straighten out the flywheel. It is easier this way. Fold it lengthwise: This way, the outer side, will be folded inwards. Fold it lengthwise again so that the outside will be inside the fold again. Seems complicated, right? Seek an extra pair of hands, and with some practice, you will surely get the hang of a standing tent. Your aim is for your tent to end up in a lengthwise state, keep that in mind. The pole closest to you should be your primary reference point. Tuck and fold each end of the flysheet so that they touch the nearest supports while gathering the edge of the fly sheet in the direction of the center. Fold it over once more once you reach the center. Guess what; the flywheel should have equal breadth as any of the folded poles. Roll up the flysheet tightly and at that point fasten it up. Start at the top, specifically at the center, which most likely is the lightest section. Rolling the flysheet makes it easier to get into the bag. Expelling air spaces in the tent makes it even easier. The tighter you roll it, the easier it will be. Lay the main body of the tent in a similar direction in which you erected it. All zips should be done, for the doors, windows and any other that might be there. You should do this with the tents pegged, and roof mounts acting as supports (clips and tubes). Make the canopy lie flat (prevents canopy from being too bunched up) while paying extra attention to the door (should be flat). Work in a circular direction in case you have a dome tent with no vestibule. Pull each side tightly to end up with the front. Secure your tent when doing this. Make the front or rear vestibule lie flat over the tent’s main body. The front one should be on top. Pull each side to the center and fold it. After completing this step, you should end up with a reduced tent size; probably a quarter of its original size. Pile the flysheet (roll), poles (roll again), pegs (roll again) and all the other components (roll again) *Please note the order. Fold the tent tightly and tie it securely to expel air from the tent. Put it in the bag and do it up. Quite obvious, right? You are now ready and set to head out for, say, your camping trip. I found a good video that sums up these steps really well! 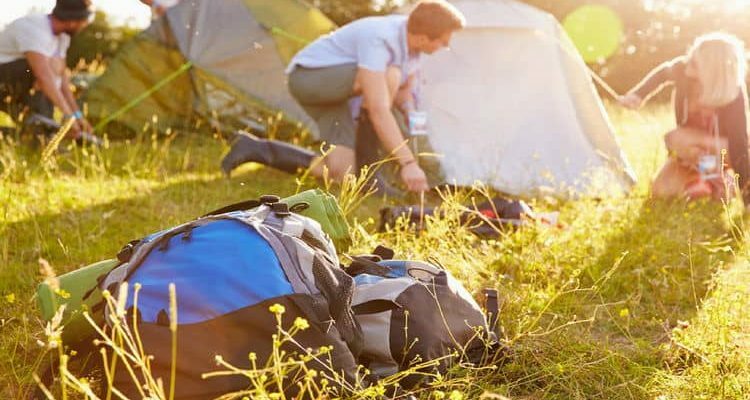 Clean your tent regularly before you pack. Cleaning it ensures a longer life span. Dirty and smelly tents attract various insects. Some of which chew through the tent. Wrinkles and lumps bulk up your bag. Eliminate them before you pack. You save lots of energy when you carry a lighter bag. Sharp objects should not be stored anywhere near the tent’s material. Preventing damage to both the tent and most importantly you is essential. Stay safe; one object might pierce you. Your folded tent should have a width that is less than the width of the storage bag (fact). Always roll tightly. Unnecessary air space in the tent can ultimately lead to difficulty when fitting your tent in the bag. Have you ever opted out of a camping trip because you only could not park your tent? Well, I have. If you think folding a tent is a hard work, then best popup tents are good candidates to be considered when finding a new camping tent. Because they're almost easy to fold and suited for everyone. Did you enjoy reading the steps? Do you think they can be helpful? Let me know what you think. I would be more than happy to expand my skills on packing a tent and add onto the few tricks on my list. Drop me a text or two if you may. I helped myself I huge chunk from these tips. I saved my pocket lots of money. Repairing or replacing a tent cost me thousands of dollars. I vividly remember when hiking with my friends, always complaining now and then that I am tired because of my heavy bag. These steps are sure to lead you the other way, ‘the better way.' You will surely avoid the hard way. Again, not all the tips which work for me are a guarantee to work for you. Therefore, the more the options, the more the fun.